On Thursday 22 March I’m at the North Ayrshire Heritage Centre in Saltcoats giving a talk on Scottish Bodysnatchers. 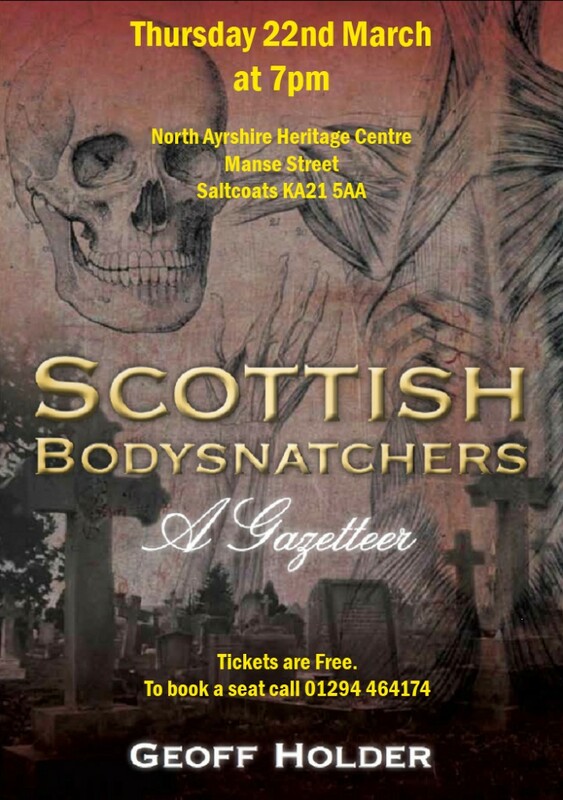 The venue, formerly the North Ayrshire Museum, is housed in an eighteenth century church, so the first few minutes of the talk – how to rob a grave, bodysnatcher-style, will start in the graveyard itself. Then we’ll relocate to the comfort of the museum for the illustrated talk on bodysnatching across Scotland in general, with many Ayrshire examples. The event is FREE and starts at 7pm. Call 01294 464174 to reserve a seat. North Ayrshire Heritage Centre, Manse Street, Saltcoats KA21 5AA. Map here. This entry was posted in Talks and Events and tagged ayrshire, burke and hare, edinburgh, geoff holder, graveyard, lecture, saltcoats, scottish bodysnatchers, Talks and events on 19/03/2012 by Jamie Cook. Well I’m pleased to learn that two of my books have been nominated for prestigious awards. Scottish Bodysnatchers: A Gazetteer is up for the Katherine Briggs Folklore Award, awarded by the Folklore Society. 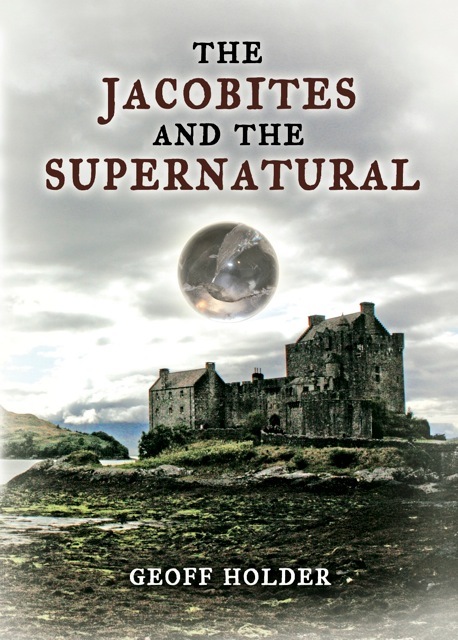 And The Jacobites and the Supernatural has been nominated for both the Katherine Briggs Folklore Award and the Saltire Society Scottish Book of the Year Award. The winners of both awards are announced in November. This entry was posted in Messages from Geoff and tagged award, bodysnatching, Folklore, jacobites, jacobites and the supernatural, nomination, scottish bodysnatchers, vampires, witchcraft on 11/09/2011 by Jamie Cook.